Yeti Cooler Wheels: DIY, Rambler, Badger, and More! 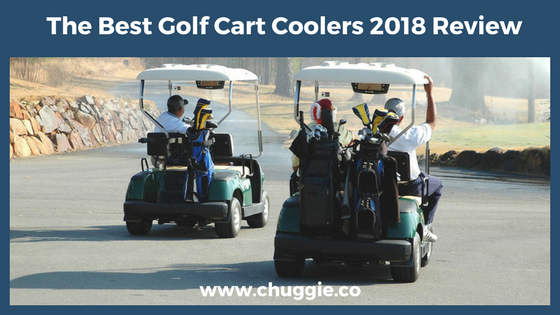 Sifting through all the coolers, drinkware, and accessories on Yeti’s website, it’s hard to believe there isn’t a single Yeti cooler with wheels. What’s up with that, Yeti? Enough about Yeti’s shortcomings. 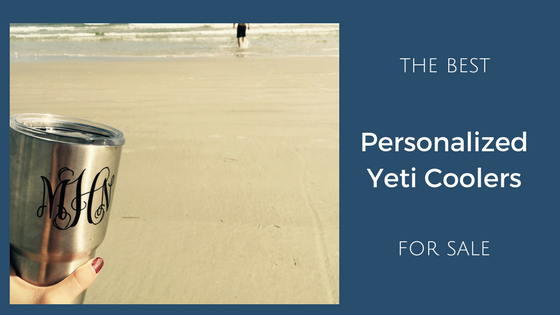 (Yeti brand coolers, drinkware, and accessories are amazing, of course.) Let’s find some Yeti cooler wheels! Although Yeti doesn’t manufacture their own wheels, it’s still easier than ever to make or find a Yeti cooler with wheels. This post is split into two parts: where to buy Yeti wheels, and how to make Yeti wheels yourself. Of course, both are worth checking out. We’ll send you to the best deals as much as possible. As any penny pincher knows, there are discounts hiding all over the place. Bison introduced their new hauler earlier this year. 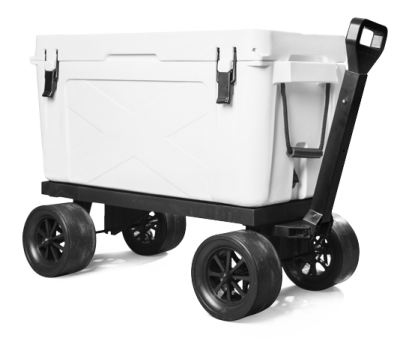 This lean mean wheeled machine fits any cooler, not just Bison Coolers. 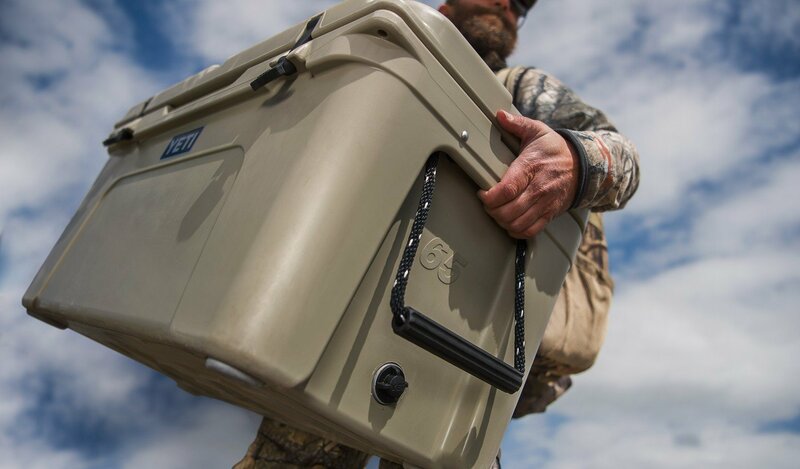 The Bison Hauler works with other cooler brands, including Yeti. 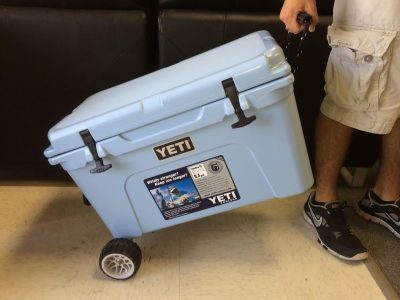 The flatbed of the cart extends for larger coolers, so it can accommodate a small Yeti Roadie all the way up to a huge Yeti Tundra 160. There’s something to be said for building from scratch, but let’s be honest. Convenience is pretty damn valuable. Why spend extra time (you could be spending with your kids) when you can get a cheap Yeti wheel kit? The Badger Wheels work great with Yeti Coolers. 8 steel bearings for smooth transportation. Like the Bison Hauler, the Badger wheel system adjusts to accommodate different sizes. The range is big; it spans from a Yeti Tundra 35 to the Yeti Tundra 160. In addition to all the great components of the kit for creating Yeti cooler wheels, the badger wheels themselves are wonderful. Since they’re constructed from marine-grade stainless steel, they’re rust-resistant and strong. 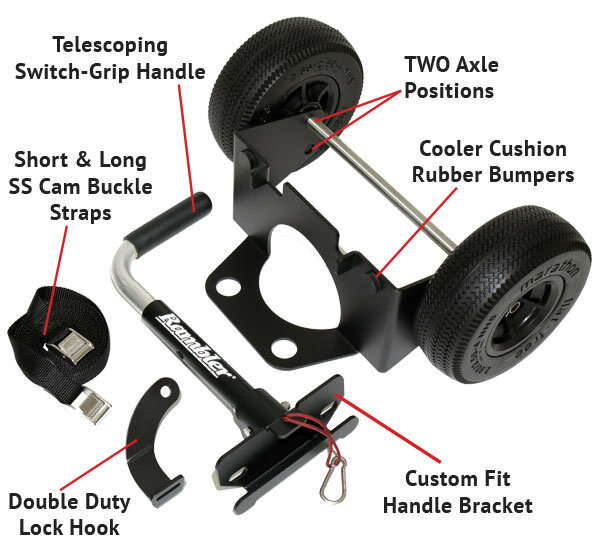 You’ll be pulling your Yeti around with a worthy wheel set. Another quality Yeti cooler wheel brands is called Rambler. Supporting the Yeti 50 through the Yeti 125, these heavy duty wheels are tough as nails. They’re made from strong plastic and stand eight inches tall. But the best part of the Rambler X2 wheels is that there are two axle positions. Because of this, you can choose a flat level cooler or a heightened position. The height really comes in handy, especially when you’re trekking over wild terrain. 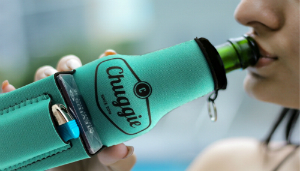 A telescoping handle enables you to comfortably pull your cooler along, no matter how big it is. If you’re not enthused with the idea of messing around with assembly, this is the kit for you. You don’t really need to do anything fancy. Just use your own two hands. Luckily, there are many kinds of wheels for any Yeti Tundra Cooler. Although it’s easy to find wheels for Yeti Tundras of all sizes, here are the three most popular. Deck your Yeti 45 out with the ultimate all-terrain wheels. These are sized perfectly and will snugly hold your Yeti 45 in place. The tough, powder-coated carbon steel is strong enough to weather all terrains while still being affordable. In the middle we have the Yeti 65 wheels. Overall, Badger Wheels are your best bet are the best for your Yeti Tundra 65. The all-inclusive Badger package provides everything you need to set up the wheels. Say goodbye to this! Wheels will make it much easier. Our favorite Yeti XL wheels are, yet again, Badger Wheels. But you’ll get a lot of bang for your buck after the initial cost, so we can’t help but repeat ourselves. You can also upgrade to Badger’s Yeti Beach Wheels for an additional two hundred dollars. Yikes, that’s expensive. But so are Yeti coolers, so why shouldn’t their wheels be costly? 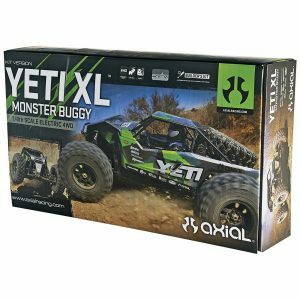 What are Axial Yeti aluminum wheels and tires? Same names, but something completely different: a toy car. 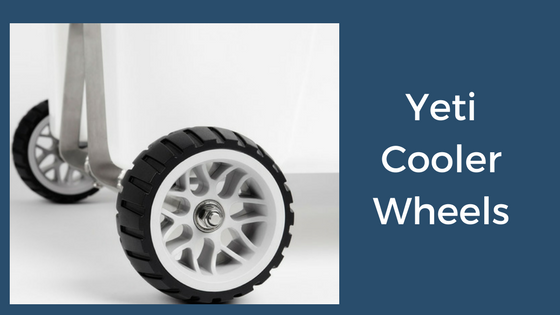 Despite the name ‘Yeti,’ Axial aluminum wheels are not for Yeti coolers. They’re actually intended for Yeti rock racing vehicles (miniature race cars). Anyway, don’t waste your time thinking about Axial Yeti aluminum wheels. When we read that these are ‘factory glued,’ we couldn’t run away fast enough. Does anyone sell Yeti Roadie wheels? Nope, not yet. Of course wheels make sense. Yeti Roadies are heavy! But for now, you’ve got to make your own wheels. 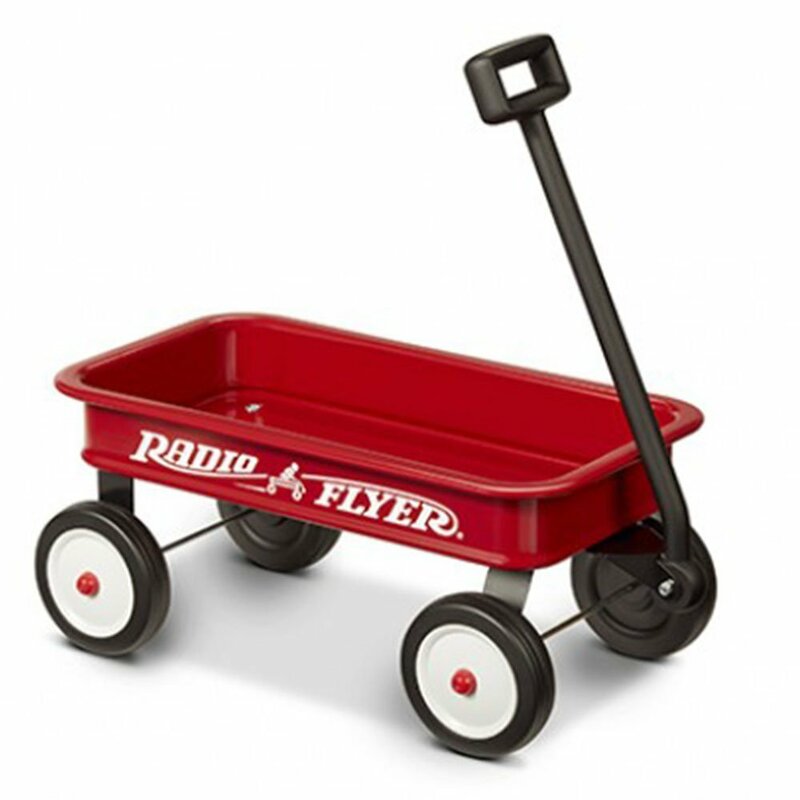 Other than strapping it to the top of a red wagon, you’ll have to come up with your own Yeti Roadie wheel system. As shown above, you have lots of options. The Bison Hauler, Rambler Wheels, and Badger Wheels are all top notch Yeti cooler wheels. Or, for the DIY-ers, skip down for some incredibly detailed instructions! Part II is just as fun, we promise. In reality, even if Yeti did make wheels, we’d still be on the hunt for alternatives. Keeping your options open is always the best course of action. Happy Trails! Although you can buy ready-made products, making Yeti cooler wheels from scratch is another option. (Without the convenience of a kit.) If you’ve chosen this honorable route, either you’re trying to save money or you like building things. Both are respectable. We should all be more like you! We can’t take the credit for inventing these rules; this is merely a summary of Dylan Hagewood’s instructions on Instructables. All credit goes to him! #1. First, take your clamps apart, since you only need the steel bar. #2. Next, use the steel bar and Sharpie to mark depth. #3. After that, cut and weld the bar to the pegs. #4. Next make the the axles. #5. Then prepare for welding by adjusting the axle’s length. #6. After preparation, weld the axles to the bar. Viola! If you do this carefully, you’ll have saved hundreds of dollars and have a quality end result. Also, there’s something satisfying about making something yourself. First, look at what the badasses over at Texas Bow Hunter are building. You can also buy Dylan’s pre-made kit from his online Etsy store. You’ll only pay $95 and have the satisfaction of supporting a small business owner. It’s also reassuring to see his step-by-step instructions with pictures before you hit the “Add to Cart” button. Welcome to your next favorite camping style! Maybe you’re here because you’re thinking of turning over from the other side. The “other side,” of course, refers to tents. 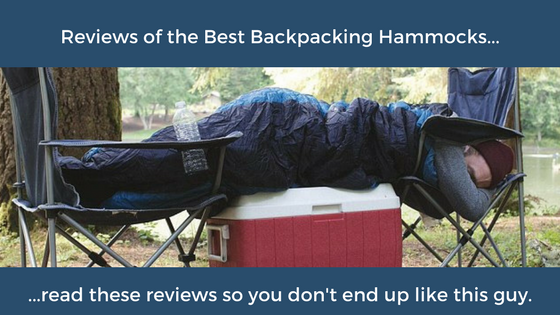 If it’s not on your radar yet, hopefully these best backpacking hammock reviews will at least show you how awesome it can be. Setting aside your tent for a backpacking hammock could be your next best (or at least memorable) adventure. True, it feels a little different at first. But you’ll get the “hang” of it in no time, and it’s a fun way to keep your adventures challenging. This review showcases the finest backpacking hammocks to help you plan for the wonderful world of hammock backpacking. Get ready for the goods! First, backpacking hammocks are more comfortable. Unsurprisingly, many people find them much easier on the back. A second, and perhaps overlooked benefit, is the effective shield from the elements. Since hammocks hang well above the ground, there’s no waking up in a pool of water inside of your “leak proof” tent. Another advantage is better ease of use. The ideal backpacking hammock is compact and light when packed up. But probably the biggest headache-saver of all is the dreaded tent setup. After a long day of trekking through challenging terrain, sometimes all you want is a quick and easy set up so you can rest. Setting up backpacking hammocks is usually a fast, simple process. The Hennessy Hammock Ultralite Backpacker Asym Zip Hammock is quite possible the hottest ultralight backpacking hammock on the market. Everybody who’s anybody is talking about it! As it says in the name, this Hennessy work of art is asymmetrical. Because of it’s shape, it just may be the best backpacking hammock to set up at the end of a long day. You should always look for asymmetry, since this shape is easier to hang and much more comfortable. Weighing in at just two pounds, it’s light as a feather and oh-so-comfortable. Light doesn’t equal weak, though. Heavy duty zippers and the tough nylon taffeta of this backpack hammock will withstand miles and miles. One excellent test of using this ultralight backpacking hammock over almost 440 miles yielded excellent results. This mighty Hennessy Hammock was still going strong. With a weight limit of 200 pounds and a maximum height threshold of 6 feet, this hammock won’t work for certain builds and body types. Fortunately, we got your back. There are plenty more backpacking hammocks to accommodate taller and heavier adventurers. It’s also important to know that stakes for the rain fly are not included. Hennessy offers customization. You can actually mix and match parts to create your dream hammock, for an additional fee. Who said dreams don’t come true? This is best for long hikes, since it’s so light and compact. So, get ready to wade through streams, scale mountains, and dodge unstable rocks without a heavy backpack hammock dragging you down. These reviews of the best backpacking hammock wouldn’t be complete without a Serac hammock. This classic hammock is extremely light and simple to set up and put away. So when you arrive, weary, at the end of your hike – 1,2,3 and your luxurious bed awaits you! As you sleepily pack up your stuff in the morning, there won’t be endless fumbling around. Despite its unbeatable features, it’s still true that cheaper prices mean sacrifices in quality. The hammock, carabiners, and tree straps won’t last as long as hammocks like ENO or Henessy. That’s like comparing apples to oranges though, as you’re paying a lot more for those two brands. But let’s get onto the good stuff. The first factor that made us hit the “add to cart” button is the array of colors. There are four different vibrant blends to choose from. And how can we forget? Serac’s classic backpacking hammock is able to support 400 or more pounds. (Although the height is limited to six feet.) What a leg up over competition! It’s pretty much unanimous that Serac has amazing customer service. They truly stand out from bigger companies and work with you per individual complaint or defective part. And what we’ve all been waiting for… Serac offers a 5 year, unlimited warranty! At last, for those of you hammock backpacking newbies, this is the cooler for you. It isn’t the Yeti of hammock brands, but it doesn’t claim to be. It’d be pretty silly to buy a pricey ____ when you’re just starting out fishing, right? Even though we’re recommending this for beginners, it’s suitable for intermediate more serious hikers and any backpackers really looking to lighten their load. Love camping, but have terrible reactions to bug bites? This should help! Although you can use a tarp to form a backpacking hammock tent, the Grand Trunk Skeeter Beeter Pro has a bug net that you just can’t get that easily from a tarp. Not only will it shield you from those sneaky little monsters, but it’ll withstand the test of time. This backpacking hammock is durable and tough. Unlike Hennessy Backpacking Hammocks, the Skeeter Beeter isn’t asymmetrical. Hand-in-hand with the symetrical nature means it’s harder to find a place to hang it. A rain fly isn’t included in this backpacking hammock tent, although that seems counterintuitive in a hammock with ‘tent’ in the name! Below, we’ll help you find the best deals on rain flies and other accessories. This is a great hammock for longer ventures because it’s so comfy. While you can stand a slightly flimsly Serac for a couple of nights, it can get old. Guarantee yourself restful nights with the Skeeter Beeter. Of course, the more mosquitos and other unwanted insects are in the climate, the more valuable this backpacking hammock tent will be to you! This 2 person backpacking hammock will suit you and your honey (or whoever else you decide to shack up with) well, whether you’re camping or going on a long backpacking exploration. Notably, this love seat turned hammock is durable. The aluminum carabiners are light, yet tough. Another reassuring feature of the Two Tree Double Parachute Hammock is its nautical-grade ropes. No worries about plummeting down into a very unpleasant awakening in the middle of the night! Rather than convenient hammock straps, this two person backpacking hammock comes in a package with just plain ropes. While strong, they aren’t as easy to use. Another important consideration is that the hammock set’s missing a rain fly or tarp. 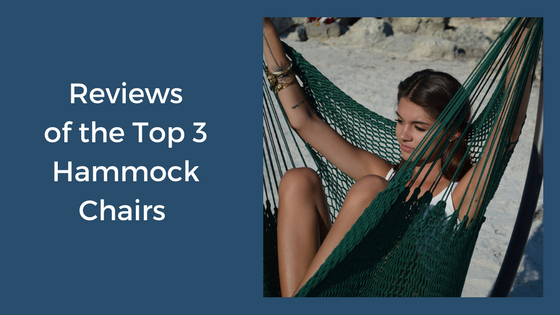 Since hammocks are frequently shipped without these important components, we’ll be dishing out the scoop on where to find accessories later on in this post. There are four color combinations to choose from, thus giving you more personalization in your soon-to-be backpacking bed. Another bonus is the strap attached to the “stuff sack.” It seems like all hammock companies would do this, but nope. You’re getting lucky if you end up buying from Two Tree. Short hammock backpacking trips are a perfect fit for the bare bones Two Tree Parachute Hammock. However, once you get a rain fly, you can venture further out. Two person hammock backpacking is a way to bond with your partner in an entirely new way. Have fun! Because of the company’s commitment to sustainability, Two Tree plants 2 trees for every hammock sold. Now that’s an amazing cause, since backpackpackers depend on trees for their hammocks! With backpacking, backpacking hammock, hammocking, etc. being thrown around all over the place in this blog post, it reads like a tongue twister. The terms are quite different yet sound so similar. It’s easy to see how the phrase backpack hammock could get lost in the shuffle. First, the backpack part of the couple. Constructed from hearty nylon, the backpack is large enough to hold a laptop and has all the pockets you’d expect from a regular backpack. The HackedPack’s awesomeness lies in its patented hammock storage system. The integrated hammock is parachute style and is triple stitched to hold as much as 500 pounds. Nine feet long straps stretch wide and far, so you can hang out (literally) practically anywhere. Climb in and stay occupied for hours. After all, the backpack part of this marvelous contraption holds electronics, books, snacks, drinks, and whatever else you may need. For overnight hammock backpacking trips, the HackedPack will easily hold your camping essentials. You can also make your own backpacking hammock, right at home. It’s inexpensive and, like most homemade items, leaves less of a carbon footprint. While the web is teaming with DIY backpacking hammock ideas, check out the top two, right here. Emily Grace King of Instructables has laid out a fantastic set of instructions with pictures. Notably, it’s an in-depth project and requires the ability to use a sewing machine. Some of the required materials include household items like scissors, a book, lighter, and glue stick. Others, like nylon webbing and AmSteel Blue Rope will probably require some shopping. Anyway, these instructions are remarkably detailed and illustrated and will literally walk you through the entire process of assembling the materials, stitching together the nylon, and attaching the storage pocket. Even if you don’t intend to sew yourself to backpacking heaven, the pictures of the transformation are quite impressive. Next we have some open-ended, simple instructions. As the author puts it so well, “the coolest thing about making your own gear is that you can customize it however you want to.” For this reason, he says he’ll share what has worked for him – but it’s not meant to be followed to a T.
This is a nice, free spirited approach with some down to earth instructions. In a perfect world, all accessories would be included in one package. Although this isn’t the case, we have found the perfect accessories to fill in the gaps. Inside this handy little kit, you’ll find two each of anchor bolt hangars, lag screws, and steel carabiners. The hanging kit is compatible with practically every hammock brand, including Hennessy and Grand Trunk. These two intensely long backpacking hammock straps are crafted from 100% non-stretch polyester. 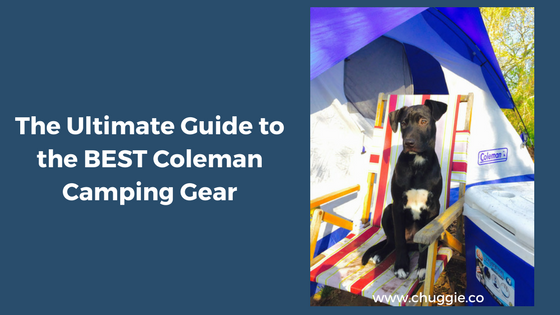 Each strap has 15 adjustable loops, making this a must have for every hammock backpacker! The length and number of loops really opens up your options. With the two straps’ powers combined, they can support up to 2000 pounds! Best Choice’s sleek black stand is constructed with heavy duty steel to support non-spreader bar hammocks. It features an accessories tray, which has dual cup holders, a phone holder, and a slot for books/laptops. Most likely, the idea of hauling around a 35+ pound backpacking hammock stand sounds imbecile for true backpacking excursions. But believe it or not, some people are into that. It’s good to have one for use at home or short trips to the beach, at any rate. So…did anything in these best backpacking hammock reviews catch your eye? Although this review hasn’t covered each and every backpacking hammock, these are the cream of the crop. The routes you can take are varied; from investing a big chunk of cash in a high end hammock to making it from your own two hands, the good old fashioned way. In any case, enjoy looking at how these fabulous backpacking hammocks match your lifestyle and preferences. 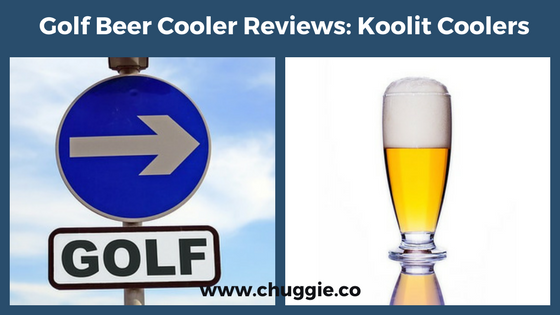 Check out the rest of site for more hammock reviews, cooler reviews, and drinking games. Do you want to up your game by indulging in a hammock chair? Good; free time is precious and you should enjoy it as much as you can. A swinging hammock chair brings with it a certain charm wherever it goes. So get ready to get some ‘feng shui’ going on both outside and inside! Whether you’re looking to hang your new favorite perch inside or outside, we’ve got the best choices outlined below. Our main focus in each review are size, functionality, quality, and construction. Hammocks are luxurious enough as it is. Then, step it up a notch to hammock chairs, and you think you’ve got it all. But get a hammock chair with a foot rest, and you’ll be in heaven! The Caribbean Hammock Chair will transport you to the Caribbean in your mind…and it’s light/compact enough that you could realistically take it there! With weather resistant construction and glossy tropical hardwood, this beauty is built to last. In addition to all that awesome, the seat is suitable for both indoors and outdoors. The highlight of this Caribbean hammock chair is the soft fibers and extra-long construction that allow you to spread out while staying fully supported. You’ll be able to curl up or spread your legs as you see fit, while enjoying the comfort and calming sway of this incredible seat. Another good quality of this tropical hammock chair is perfect for use along the beach shoreline or by the pool. And of course, it’s outside-and inside- friendly. Basically, anywhere you can fit a stand. Just hang a sturdy hook, or even tie it to a tree, and it’ll serve you well. It is kind of annoying that the hammock chair stand isn’t included. However, it’s super easy to find a stand online! Best Choice Product’s Sky Hammock Chair Stand works perfectly with the hammock chair itself. Notably, the weatherproof polyester construction makes this hammock perfect for next-to-water situations. Whether you hang it in a tree next to the lake, or set up a stand by the pool, this swing will allow you to relax for years to come. If you prefer to set up your swing indoors, the subtle tropical design will match any decor while providing a fun – and functional – place to sit and relax. This hammock seat is stylish, comfortable, and guaranteed to give you a lifetime of island vibes! 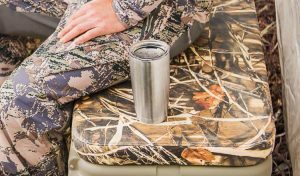 It can be hung inside or out with the hardware of your choice, and features a blend of synthetic and natural fiber construction for a cozy, yet durable covering. To make sure your hammock chair experience is extra soft and relaxing, two cushions are included! The Sorbus is also portable. So as long as you have something to hang it with, you can move it indoors, outdoors, or easily take it with you to a new location! The relaxing striped colorway makes this swing a really good accent piece. Additionally, the draped construction creates a cocoon-like seat that allows you to feel cozy without overheating, and supported without feeling stiff. Since hanging hardware is not included, you’ll want to ensure you purchase a hook and anchor. When ordering the chair, consider adding this Chair Swivel Hook Snap to your cart. Another recommendation is the heavy duty Marathon Swing Hanger. Make sure you get those accessories together for your future rig so you can enjoy it as soon as the package arrives! Since this hammock chair is perfect for hanging from a porch, a tree, or even setting up on a specialized stand, it’s great for around the house. 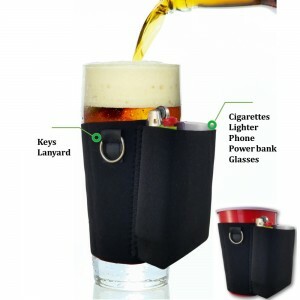 But since it’s portable, you can easily bring it with you to campsites or outdoor concerts. Whether you choose to set up inside or outside, you’re sure to enjoy the cradle-like comfort this swing offers while you read, chat with friends, or just relax. If you’re looking for a swing that can keep you comfortable and supported indoors or out, this is the pick for you! Available in several colors, you have your pick for a style that fits your personality and/or your house aesthetics. With its comfortable yet sturdy cotton and polyester blend, this vibrant swinging hammock chair is guaranteed to look and feel great for years to come. Of course we love the fact that this swing comes in a variety of colorways! It also features a comfort-enhancing cushion. As a result, it’s guaranteed that you’ll be able to kick back and relax with the ultimate ease. By the time you’ve used the Sunny Daze swinging hammock chair for years, it’ll still hold its shape nicely. It also won’t droop or stretch out. Another key point is that this type of hammock chairs requires a sturdy spot to hang from. Unfortunately, Sunny Daze doesn’t sell hanging chair hardware alongside the hammock itself. Never fear. You don’t have to go on a wild goose chase for track down a stand or appropriate stabilizers to set up the swing of your dreams! We suggest starting with Sunny Daze’s own C-Shaped Stand. Alternatively, you might prefer the OnCloud Hanging Hammock Chair C Stand, since it’s especially heavy duty. This chomfy chair is ideal for your backyard oasis, or to liven up your living room with some eye-catching seating. Wherever you end up using it, this swinging seat is sure to be the center of attention! First, let’s talk about what may be the best hammock chair hanging kit of all time. Obviously, the all-inclusive aspect of this kit is a major win. But another, even more important, factor, is how Little River uses its proceeds. This respectable company donates a portion of its proceeds to the National Parks Conservancy Association. Maky Outdoors, a small family business, offers a limited kit. It only has hooks and carabiners for hammock chair assembly. While this hammock chair hardware is a good start, it doesn’t include swivel hooks and other important hardware. However, this isn’t necessarily a downside for those of you who already own some of the hardware listed below. Of course adding a hammock chair to your weekend adventures will dial it up a notch. Not only will you be the envy of your friends, but you’ll be ultra comfortable. Hopefully there’s someone to serve you margaritas so you don’t have to move out of your seat of the gods. Whether you’re going all in on quality with the Caribbean Hammocks Polyester Hanging Chair, maximizing value with the Sorbus Hanging Rope Hammock Chair, or getting the best of both worlds with the Sunnydaze Hanging Hammock Chair Swing, you’re guaranteed to have the best seat in the house. Need something else to make your weekend plans perfect? Get the most out of those precious days between Friday and Monday! 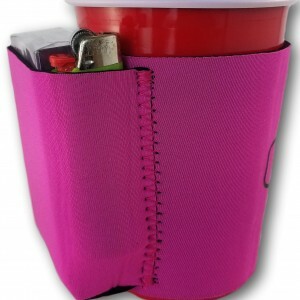 Check out coolers or drinking games and let the good times roll. Complement your new hammock with a quality cooler. 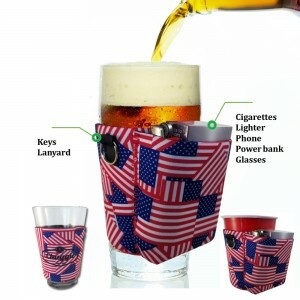 Get your drink on during lazy nights around the patio or picnic table. Even if you’ve only been camping a handful of times, chances are you’ve encountered rain… and it wasn’t pretty. There’s nothing quite like waking up after a night of steady rain. Invest in a hammock tarp. You’ll be so glad you did! Hammock tarps are necessary for a variety of reasons. First, they’ll keep you consistently dry while camping in a damp environment. They’re also perfect for protecting your outdoor hammock from the elements. You’ll be on your way to some comfy hammock camping in no time! 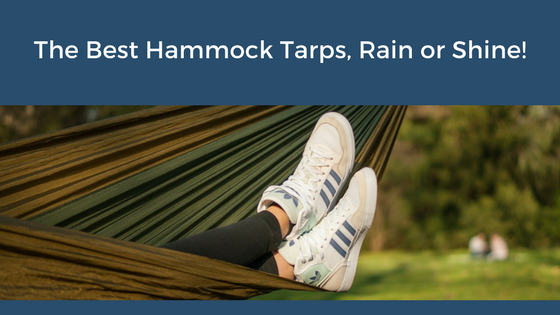 This hammock tarp is great for keeping you, your camp, and your friends from getting soaked when you’re out in the great outdoors on a rainy day…or just in a climate that’s wet by nature! This lightweight yet dependable hammock tarp will protect you from that soggy feeling. So you can relax and enjoy the weather instead of enduring it. The treated nylon is the key feature here, but the 6 guyline points are also great when you want to make sure you get things nice and taut. These features combined will keep your hammock from being turned into a pond, or feeling dry but claustrophobic in little more than a waterproof cocoon! It works great with ENO’s Double Nest or Single Nest hammocks, but any standard-size offering will likely be compatible. Just make sure to test the length before you face the elements to ensure your head and feet stay nice and dry! Since stakes are sold separately, this tarp can end up wrapping around your hammock uncomfortably if there aren’t any lower trunks or other sturdy vegetation to tie down the ends to ensure the rain runs off properly. While this can easily be remedied by purchasing stakes, keep in mind that additional supplies can weigh you down and inflate your budget. But we’ve got you. The MSR Ground Hog Stake Kit is inexpensive and the reviews are pretty much unanimous: it’s amazing! Additionally, though thoroughly waterproof, the rectangular design can limit the configurations available, so make sure to test it out in your backyard to ensure proper fit and comfortable setup before setting out on a rainy trip. This tarp is best used with the Eagle’s Nest Outfitters Double Nest in rainy but not overly windy situations. That said, it’s a bit on the larger side, so in an only occasionally damp environment, it can provide more than adequate cover for your hammock, a small cooking area (make sure it’s properly ventilated! ), and a place to keep your gear dry during a rainy night! This is your basic, bare-bones rain tarp. It’ll keep you dry, or make for a nice place to sit, without any extra bells and whistles. It’s just a straight-up, no-fuss piece of waterproof fabric. This camping hammock tarp comes in a variety of colors, and is both lightweight and durable. So it’s perfect for a last-minute addition to your camping supplies that won’t put you over budget! This tarp features 6 reinforced grommet holes to aid in hanging in whichever configuration you choose. There are also four colorways to choose from: green, dark green, blue and orange. A drawstring bag is included for storage or portability. Since this is the budget option, you’re not getting any extra ties, stakes, or reflective material. It’s a basic hammock tarp, and a good option for starting out. The OUTAD Waterproof Camping Tarp is intended for situations when you only need the bare basics. We love it for picnics and shade from the sun in sweltering weather. Whether you’re testing your skills by going minimal, need a backup tarp in particularly wet weather, or are just looking for a solid way to keep dry without spending a lot of dough, this tarp is a great affordable pick. If you are looking for a tarp that can go anywhere and do anything, this is the pick for you. With it’s unique shape, high quality design, and seemingly endless configurations, this is the tarp to bring with you for an open-ended adventure! The high-visibility orange color ensures anyone hunting nearby doesn’t mistake your camp as a mark, and the included guy lines and stakes ensure you can set up your camp any way you want to. The hexagonal shape of this tarp means that it can take a little getting used to in order to optimize the configuration. If you’re used to rectangular tarps, you may want to test this out in your backyard before setting off on an adventure in order to make sure you can set it up how you want relatively quickly. This tarp is ideal for backcountry camping in rainy locations, or for an extended trip with variable weather. It can be set up as a tent, to provide shelter while you’re in your hammock, or to provide shade during less wet and more overly sunny days! If you’re headed out into the wild and want to be comfortable while you’re out there, this is a must-have in your pack. DIY projects are so much fun. If you like getting your hands dirty outside, it’s nice to do a hands on project. You got this. Listed below is our favorite DIY hammock tarp method. Once you’ve taken a look at these instructions, we have hammock tarp fabric info below. We just discovered Instructables. What a well kept secret, and a great source for all things DIY! The Hammock Hut’s instructions suggest Hennessy and Eno hammock tarps. Even if it isn’t one of these brands, make sure it’s a dependable backpacking hammock. A big tarp. It has to be as long as the hammock with plenty of room to touch the ground. Environmentally friendly hammock straps like Eno slapstraps. As you can see, you don’t need much to make this hammock tarp yourself. Size, cost and set up all depend on your individual project and hammock size. Read full instructions and pictures here. The Hammock Hut’s DIY hammock tarp is best for backyard use. Before taking it on a camping or fishing trip, make sure to try setting it up and taking it down a few times to make sure it can withstand frequent usage. If you haven’t done much DIY for equipment like this, it might not be as reliable as the ready-made hammock tarps are. Again, it’ll be perfect for chilling out close to home. But we don’t recommend it for backpacking or hiking. Whether you’re picking the top of the line ENO Profly, saving some money with the OUTAD selection, or keeping your options open with the Ultimate Survival Base Hex, there’s a rain tarp to fit your needs and budget! We sure are excited for hammock camping and hiking, and hopefully you are too. Decided to make your own tarp? We’d love to see it and feature it on our website. Just email us at chuggieteam@outlook.com.